In March 2014, the People’s Bank of China (PBOC) banned QR Code payments via third-party providers. The reason cited was security of consumers data and money. But experts say it was to protect China UnionPay, which holds a monopoly on bankcard payments. The ban has been on since then. But third-party payment providers continue to allow consumers to make payments via QR Codes. 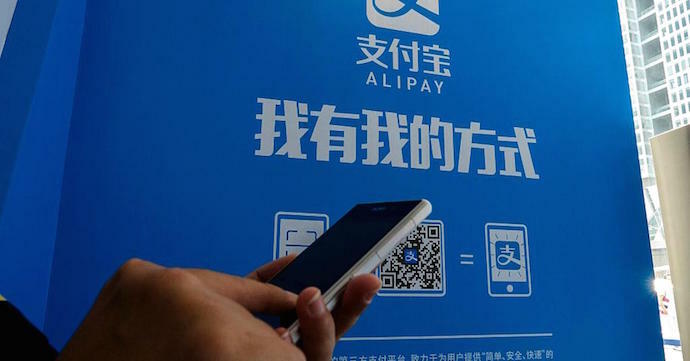 Major providers include Alipay (affiliate of Alibaba Group) and Tenpay (owned by Tencent Holdings). Why the ban is being lifted? In China, it is common to buy goods by scanning a QR Code. The QR Code redirects to the product page and consumers can make an online payment. iResearch claims third-party providers in China were responsible for RMB 6.2 Tr worth of mobile transactions in Q1 2016. This is a 202% jump from Q1 2015. These mobile transactions results in huge losses to China UnionPay. This is because these transactions are not routed via their system. The irony is that China UnionPay had developed its own QR Code Payment system back in 2010. But didn’t release it due to regulatory concerns around security. The third-party providers were able to offer QR Code payments despite the ban. The common reasoning is that ‘PBOC didn’t issue guidelines on how to exercise the ban’. Now, in 2016, PBOC has taken a step forward to lift the ban and regulate the market. It authorized China Payment & Clearing Association (CPCA) to draft standards. Providers will need to comply to these standards. Key points include encryption and safety of user information. Experts expect CPCA to set limits on the value of each transaction. QR Code Payment providers will also need to use Tokenization. Tokenization is a technology of risk control. Apple Pay, Apple’s NFC-based mobile payment system, also uses this technology. The ban didn’t stop providers from offering QR Code payments. So this move by PBOC will not have a significant effect on the mobile payments market. But the providers will now have to comply with the new regulations at least. QR Code payments is one way how China uses QR Codes besides many other use cases. Check them out too. Have an opinion on this news? Mention in the comments below to start a discussion.